It’s not every day that you can step into an animated film. 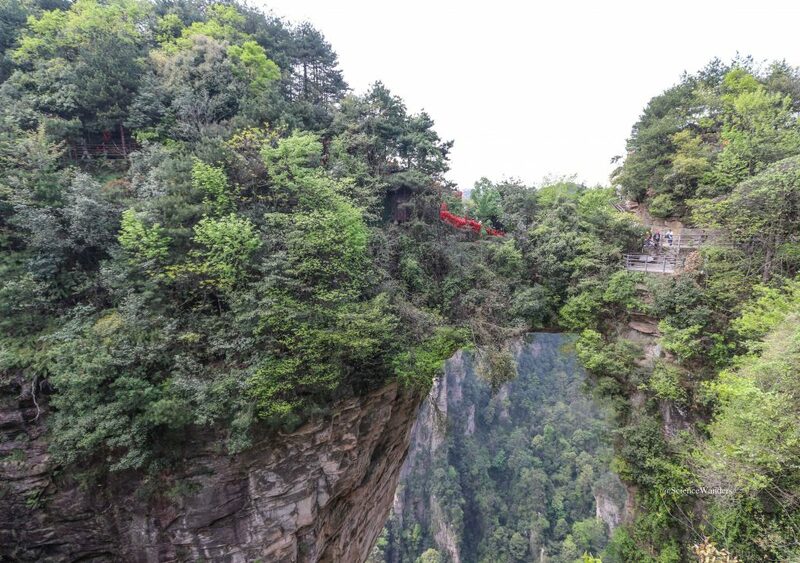 But Zhangjiajie was the inspiration for the floating mountains in Avatar, and David Cameron lifted them so exactly that its easy to expect my very own flying mountain banshee to be waiting at the top. Being there is kind of like being Mike TV in Roald Dahl’s Charlie and the Chocolate Factory. 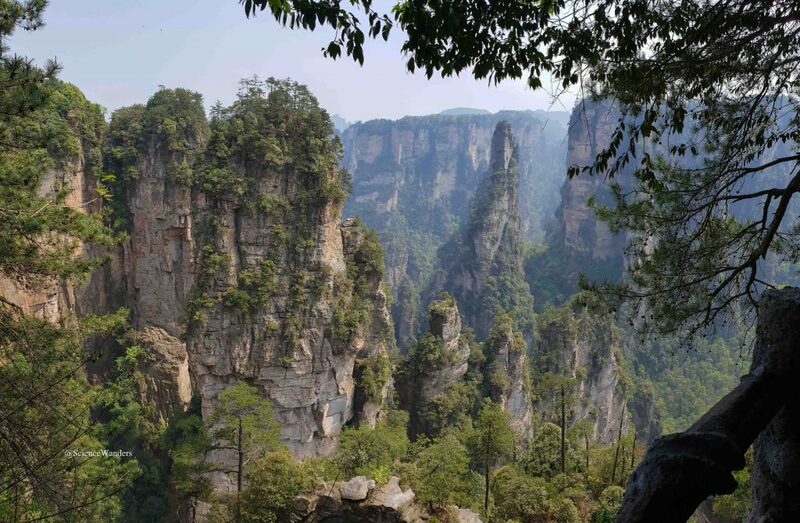 The rock pillars seem to stretch up endlessly to the sky, and mist or wafts of clouds can cut them off from anything below, making them appear to float on air. Though a lack of clouds doesn’t detract from any of their beauty. 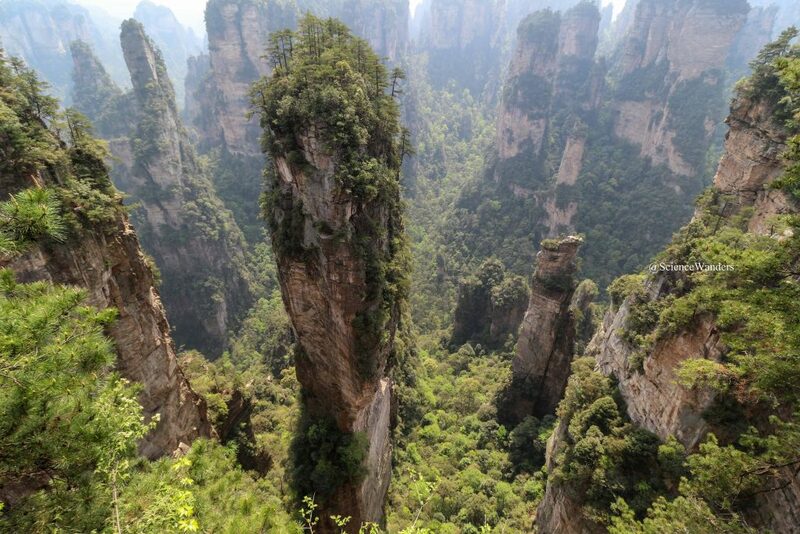 There are over 3000 peaks in the park, often referred to as a sandstone peak forest. So how did these awesome structures form? Nature worked her magic over millions of years. First, ground was uplifted in various spots thanks to tectonic activity – lots of fault lines cross the area. This uplift also displaced rivers, which found themselves higher than their original base level. These started to cut through the newly uplifted rock below. There are two main types of rock here: thick layers of hard sandstone, interspersed by thin layers of softer siltstone. With the river pressure, some siltstone collapsed altogether, leading to deep, narrow troughs. Rain and wind continued to erode the resulting pillars, with the siltstone continuing to be more susceptible. All of this took place in various cycles, leading to the various shapes that can be seen today. Shape formation is still continuing. Besides weather, which still plays a role, this is now taking place thanks to plant roots. Plants have colonised the various nooks and crannies in the rock, adding splashes of green across the whole landscape. But their roots are decreasing the sandstone’s ability to resist weather damage, leading to rock disintegration where they grow. It’s a complex, beautiful system. 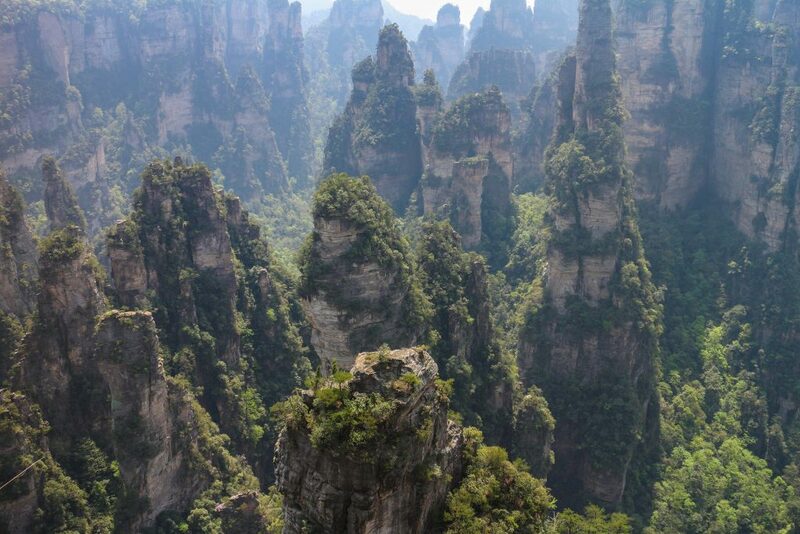 In fact, Zhangjiajie was the first place in China to be designated a national park and enthusiasm hasn’t abated since. This means that the park is quite easy to reach, but once there you’ll have to share it with thousands of others. Tips on making the most of this are at the end of this post.